The winners will receive their prize at the BPS General Scientific Meeting on April 11th in Antwerp. 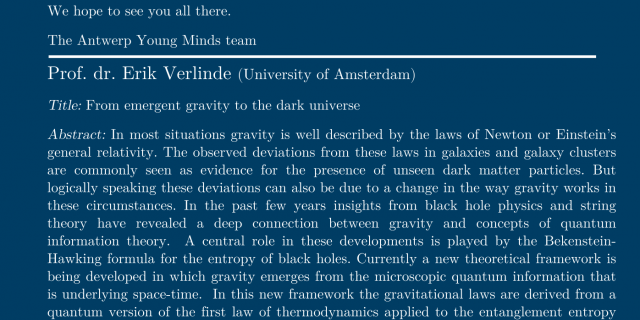 Every year the Belgian Physical Society honors three outstanding master theses with a ‚Äúbest master thesis prize‚Äù. 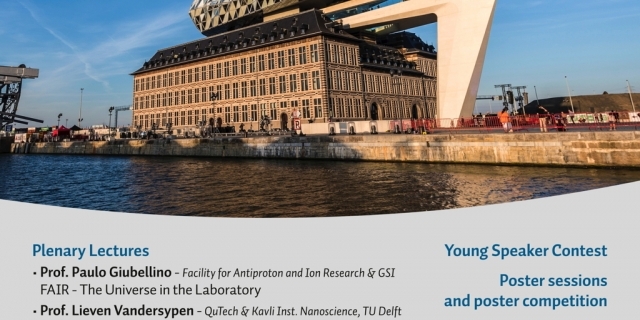 The prize certificates are presented at the annual scientific meeting of the Belgian Physical society, which in 2018 will be held at the University of Antwerp on Wednesday April 11th. We hereby invite all physics masters who completed their thesis to apply for this prize. To participate, submit an electronic copy of your thesis, along with a short CV, a short summary, and the filled form (to be downloaded here), to fabrice-dot-louche-at-rma.ac.be. Deadline for submission of your documents is 15th January 2018. The regulations of this competition can be downloaded here.